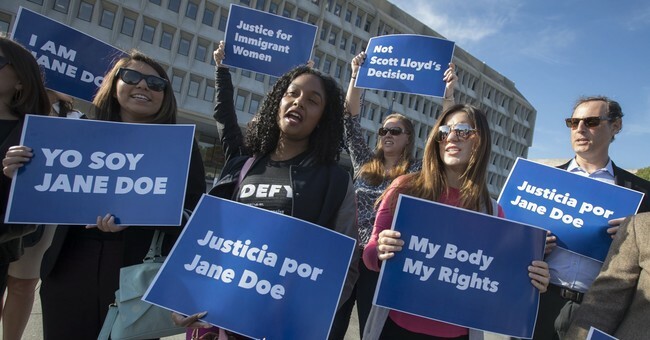 The Department of Health and Human Services Office of Refugee Resettlement (ORR) released Jane Moe, a 17-year-old unaccompanied minor seeking an abortion, Sunday from a federally funded shelter to a sponsor where she will be free to obtain an abortion with her own funding. ORR had previously planned to release her by January 26th but did so two weeks early after the American Civil Liberties Union (ACLU) issued a complaint on Moe's behalf. In their Thursday complaint, the ACLU was seeking not only a preliminary injunction preventing government officials from obstructing Moe’s abortion access but also a permanent injunction against ORR’s policy of declining to facilitate abortions for unaccompanied minors. In the court papers, Moe says she is in the second trimester of pregnancy and had been asking for an abortion for two weeks prior to the complaint. "While we are relieved that Jane Moe is reunited with her sponsor, the government blocked her from her abortion for more than two weeks, before deliberately moving her out of their custody only when we filed to take them to court,” Brigitte Amiri, a senior staff attorney at the ACLU’s Reproductive Freedom Project, said in a statement to Vice. “We continue to pursue all avenues to ensure that no other young woman like her is forced to continue a pregnancy against her will for purely political reasons,” she added. While the government has released Moe to a sponsor where she will be able to obtain an abortion, ORR is still fighting the larger legal battle over their ability to decline to facilitate abortions for immigrant teens in their custody. In October, the case of Jane Doe, an unaccompanied minor who sought and obtained an abortion while in a federally funded shelter, began a legal battle between the Trump administration and the ACLU. The DOJ filed a Supreme Court petition in the case of Doe in November, arguing that ACLU attorneys misled them as to the timing of her abortion before they had a chance to file an appeal in the case. The DOJ is asking that the Supreme Court vacate the D.C. Court of Appeals decision allowing Doe to obtain the abortion and that the D.C. Court be required to dismiss all future cases of unaccompanied minors demanding abortion access in federal custody. That appeal is pending. Two more immigrant teens, Roe and Poe, were added to the ACLU’s fight against ORR in December but Roe’s case was dropped when it was revealed she was lying about her age and was not a minor, while Poe’s case was dismissed due to special circumstances cited by the government which they did not name. Pro-life groups also worry about the precedent that compelling the government to facilitate abortions for unaccompanied minors would set.